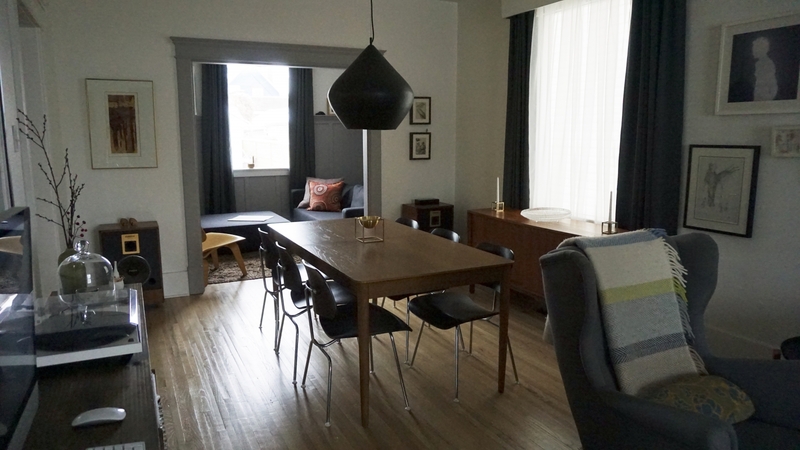 A design-obsessed couple layers eclectic style throughout their work-in-progress Ramsay heritage home. Carey Jones at his Ramsay home. Photo by Kait Kucy. 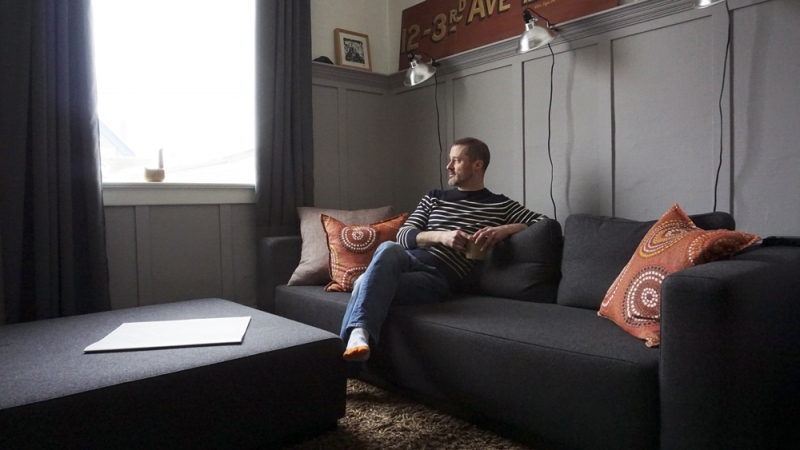 Carey Jones, owner of Guildhall Home in Inglewood and Jeffrey Gibson, a graphic designer, love the charm of Ramsay, where their two-storey 1912 heritage home resides. 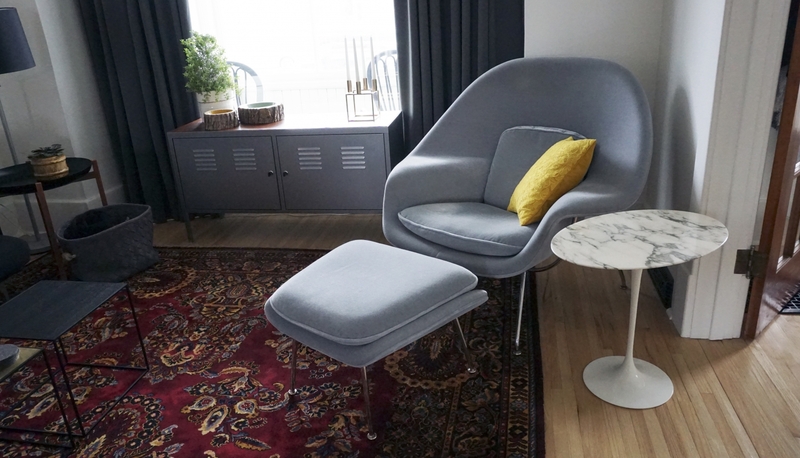 Purists when it comes to adhering to the original character of the home, the pair modernized snippets of it by renovating key spaces and introducing different eras of design through furniture, art and objects. I don’t know that I subscribe to any one design philosophy. I certainly consider myself a modernist as I like modern designer. However, I also like a mix of things; old things, new things, different textures and different contexts. I’d hate to pigeonhole myself because it is so likely that tomorrow I’ll see something that appeals to me in a completely different way and I’ll want to incorporate it into our home. I think eclectic is an appropriate way to describe my design philosophy. My favourite room isn’t the same as the room I spend the most time in sadly – my favourite room is the snug at the back of the house. It just feels so cozy back there and it gets great light. 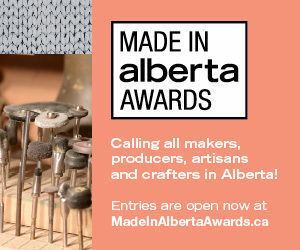 We’ve got lots of fun artwork that has personal connections. It is just a nice space to spend time in. Jeff and I talk about this a lot – neither one of us really gravitate to one item in particular over another. We really tried to take our time doing our home and even now it is definitely a work in progress, but so many of things we have in our home are meaningful to us in different ways. There are some incredible art pieces, rugs and objects that have been handed down to us from family members that are really special to us, but we can’t pinpoint just one thing. The vintage needlepoint in the snug. A friend discovered this piece while hunting vintage and passed it along to us. I actually get inspired through work, looking for new lines to bring into the store. Both Jeff and I are also really inspired by the time that we spent living in London; we were there for nearly three years. Being able to immerse ourselves in the culture was very inspiring and we were able to travel all over the continent during that time. To this day, we still watch a lot of BBC home programs, keep an eye on UK decor magazines and pull influence from their style. They have a very interesting way of mixing the old with the new – people aren’t afraid to take risks like that. My favourite thing about living here is definitely the community. Ramsay is a fantastic place to live. 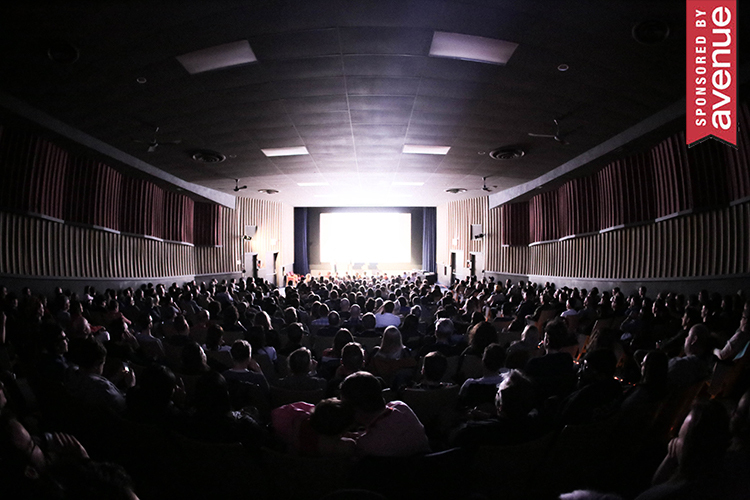 We’ve got really interesting people invested in living here and making this the best community in Calgary. Being in walking distance from my shop, Guildhall Home, is also a plus. Since I opened my store, I definitely shop from myself most of the time. Beyond that, I love hunting for unusual things so that takes the form of hitting up garage sales, estate sales and thrift shops. Did you encounter any design challenges? Living in an older home that was built in 1912 definitely has its fair share of challenges. I think the most challenging thing we’ve run into is dealing with the way the rooms are divided. 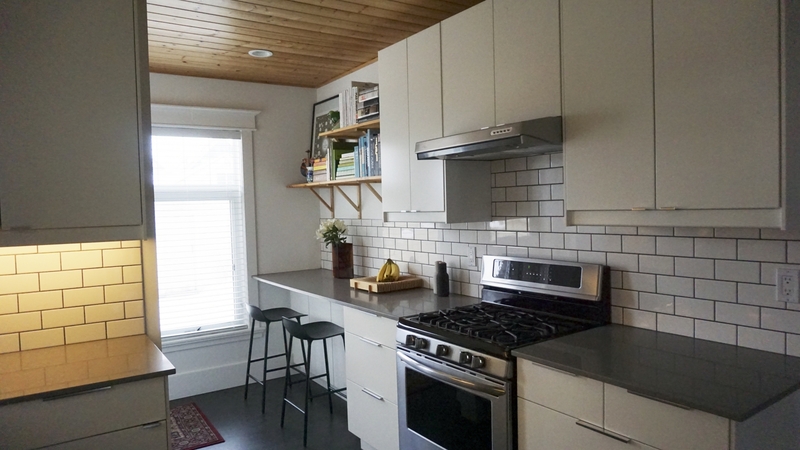 We did some renovations to the kitchen and the bathroom and we opened the spaces up a lot. But we also didn’t want to lose the character of the home and the way people would have lived in the space 100 years ago. Trying to keep the room sizes similar has been an interesting challenge. 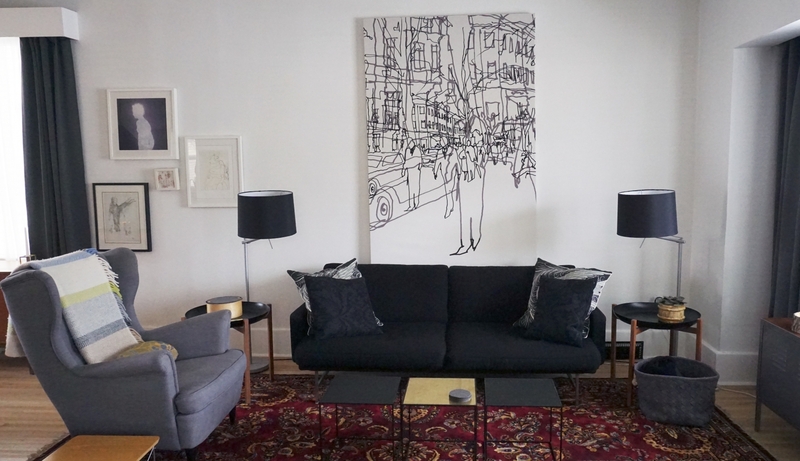 Finding pieces that fit and feel comfortable and not overcrowded definitely takes time. From my living room looking out towards the back of the home. It is kind of a quaint view, especially in the summertime. We fill the window box on our garage with beautiful flowers and I’m just reminded of how much history there is in this home and this community. We’ve been flirting with the idea of doing a pre-fab shipping container home. We’d love to find some property right here in Ramsay where we could do something like that. It is definitely a number of years down the road, but it is something that has interested us both. A gift from a friend, the record player and TV console is a perfect fit in the living room. 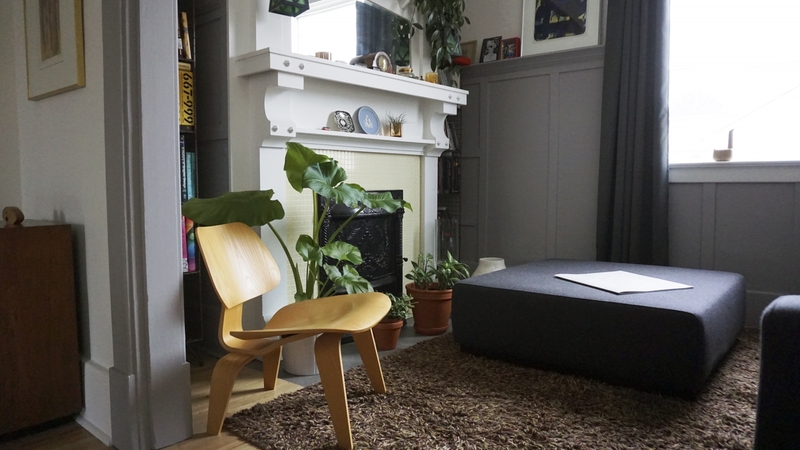 It acts as a hub for their most used items, books and objects. Inspired by British design, Jones is bold with his furniture choices, opting to mix antiques with new, contrast patterns and textures in interesting ways. Jones’ favourite decor find is an oversized vintage needlepoint that a friend picked up for him while out shopping for treasures. 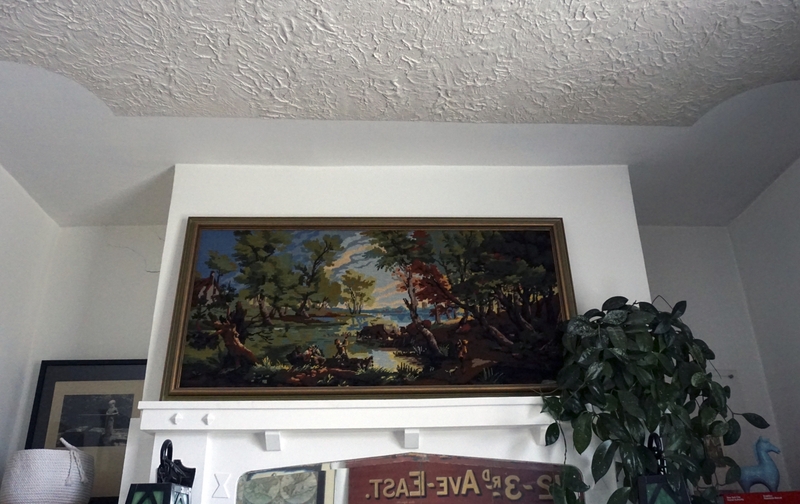 The needlepoint is surrounded by other interesting pieces of artwork. His favourite room in the home, the snug is where Jones goes to relax, read and enjoy the views out his window. It is a cozy space, filled with a few of Jones’ and Gibson’s treasures. The main area of the home is long and narrow, encompassing both the living room and dining room. Not afraid to mix old with new, the dining table is IKEA, while the By Lassen Kubus Bowl from Guildhall Home is on top. Blush, sage and warm neutrals make the spare bedroom a cozy and inviting space. Linens are from In Bed, available at Guildhall Home. 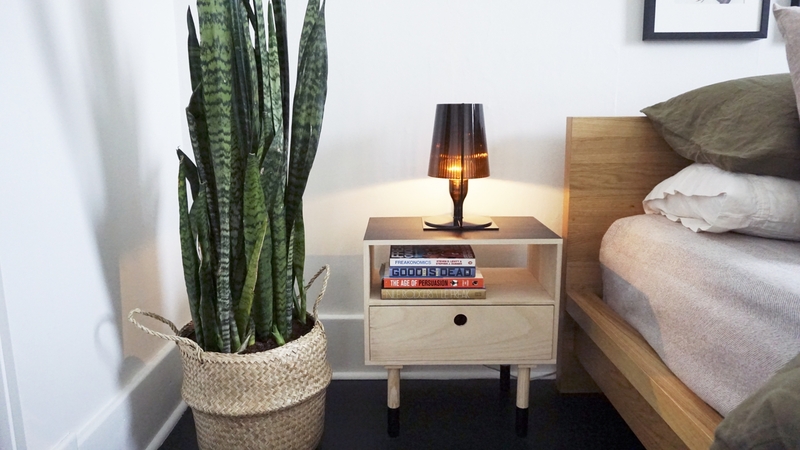 Snake plants are a great option for rooms that you don’t use often. They are hearty and low maintenance, requiring little care and grow to be quite large. 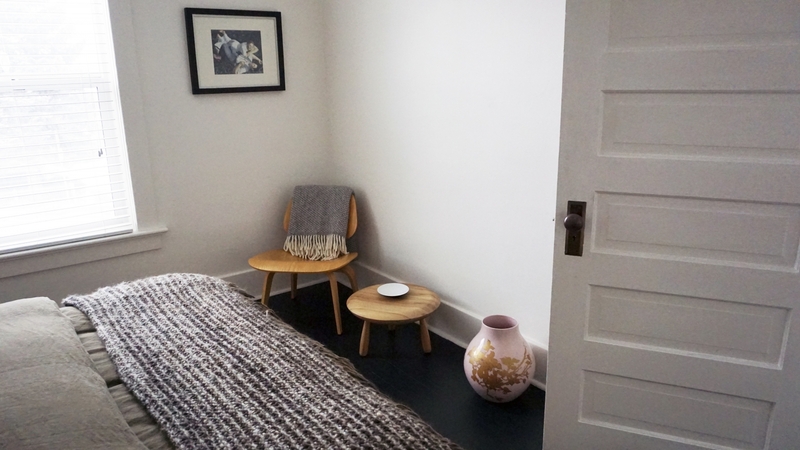 Jones sourced the stylish and simplistic bedside tables and woven basket from Bloomingville. 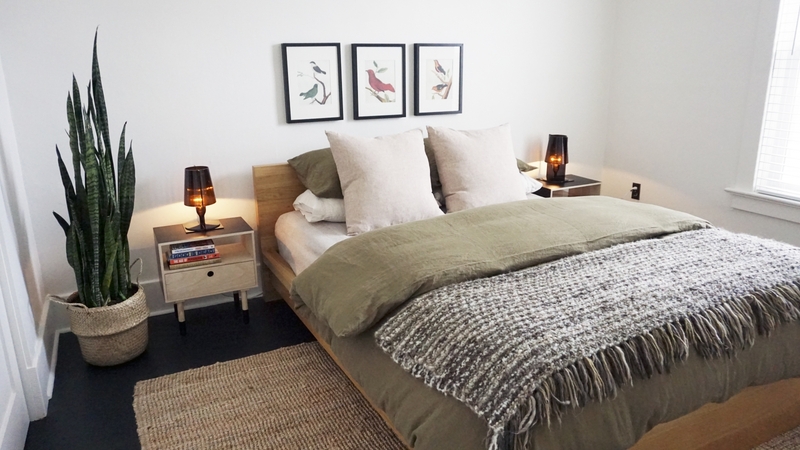 Adding character to a guest bedroom can be as simple as adding some interesting furniture pieces, artwork and objects. 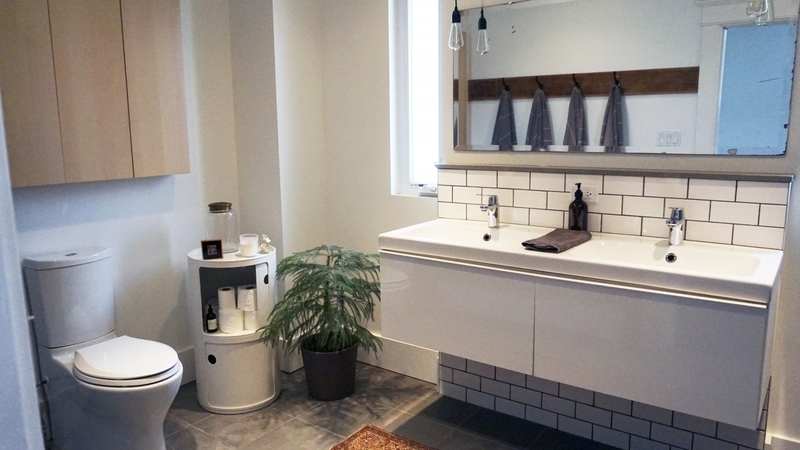 The main bathroom of the house was another extensive renovation that the couple tackled. Keeping things bright and spa-like, the bathroom is the perfect mix of timeless style with modern design. The floating vanity juxtaposed with the antique mirror adds a new level of interest to the room. 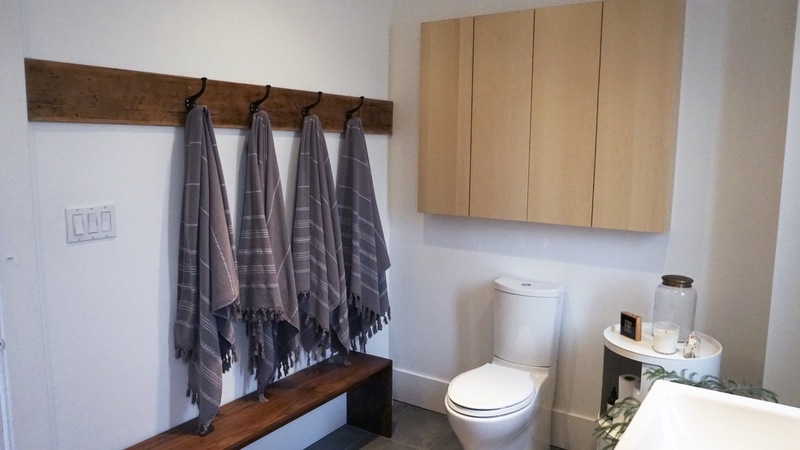 Always finding a way to incorporate interesting textiles into his rooms, Jones hung a rack of beautiful neutral Turkish bath towels above a matching wooden bench. 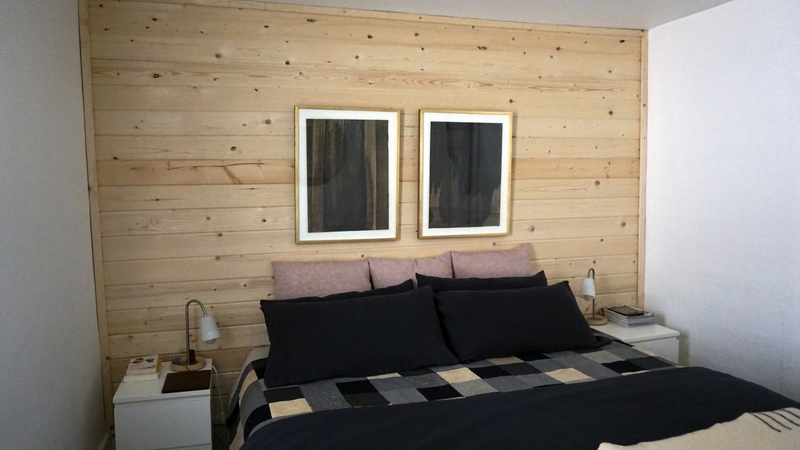 The master bedroom has a natural wood shiplap feature wall and stunning gold-framed abstract prints. The heathered crimson and dark navy In Bed linens add a subtle, masculine palette to the room. 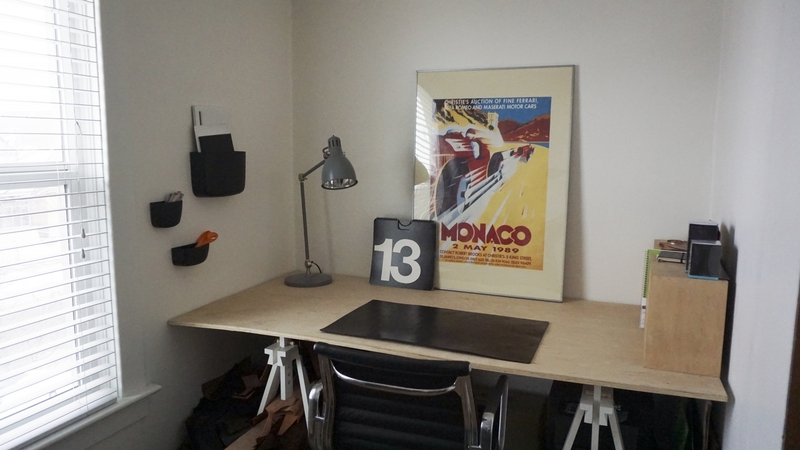 The home workspace features Normann Copenhagen wall pockets and the Era Chair. The front entrance nook is constantly evolving. 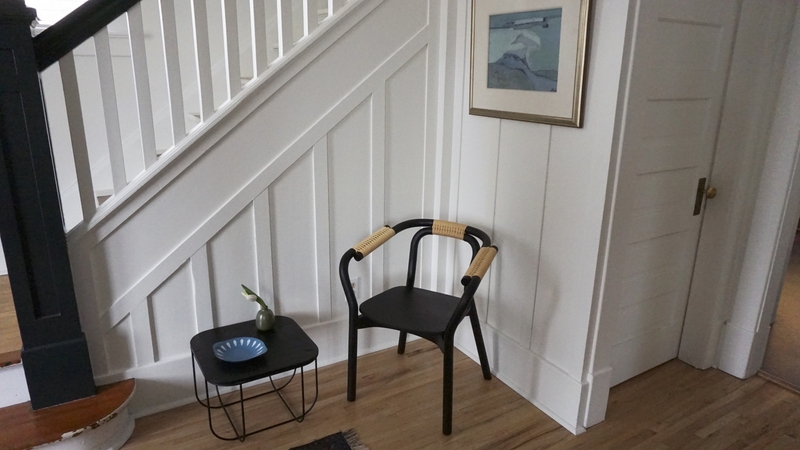 It currently features the Norman Copenhagen Knot Chair and the Menu Cage Table. The kitchen was renovated by Jones and Gibson. 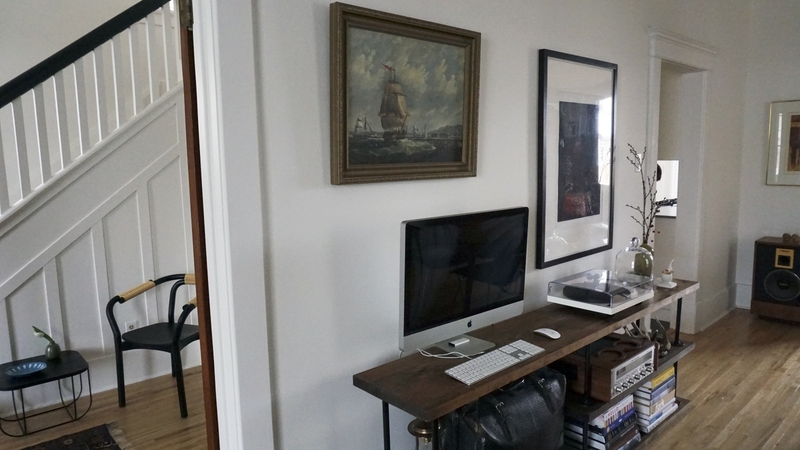 They modernized and widened the space while still keeping it classic and in tune with the rest of the home’s character. The wood panelled ceiling is one of the unexpected details in the space. 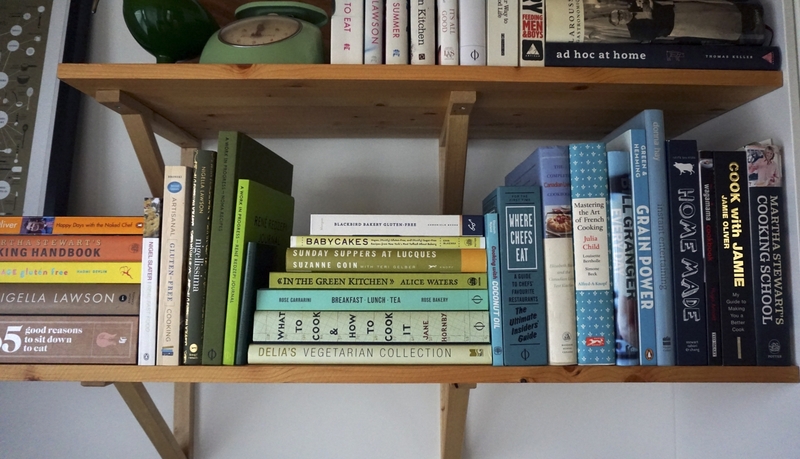 The couple’s collection of cookbooks is beautifully colour-blocked and easy to access for recipe hunting and meal planning. The nook in the front window is made even cozier with the soft blue velvet chair and matching ottoman, contrasting with the rich tones of the antique rug that was passed down to Jones and Gibson from family.